The only blue liqueur you should ever buy. Note: In business since 1896, Senior has a unique distinction of being the only company to use the appellation of genuine, original or authentic in describing its Curacaos as this may only be used if the Laraha golden oranges of the island of Curacao is used in production. Indeed I understand they own the only groves of these oranges in the world.hese oranges were brought to the island in the early 1500’s. Of interest to the botanists out there these were Spanish Valencia Oranges that because of the vastly different climate and soil became a small, bitter, and for the most part inedible orange. At some point someone discovered the wonderful aroma of the dried peel and started using the orange for something other than livestock fodder. 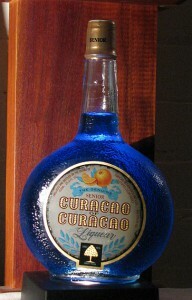 In contrast to a number of other producers who take a industrial scale and approach to production of Curacao (and by using grain alcohol and artificial flavors create a product suited for orange cough syrup than a liqueur). 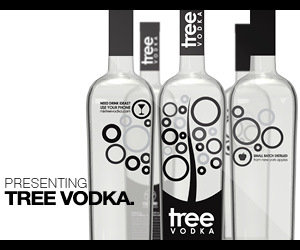 Senior takes an artisanal approach where every step is carefully considered- from using a wooden knife to peel the orange rather than a steel one (which would stain the peels and introduce off flavors) to the careful drying and then maceration of the peels before distillation to the hand bottling and labeling. Senior’s products are proof that slow food techniques are as applicable to the spirit trade as it it to food. Speed and quantity are the enemies of good taste. First Impression: Wonderful full deep smell of very unique orange and some floral/perfume notes of orange blossom, with a whisper of cognac notes. Appearance: Clear as glass and a bright “electric” blue in appearance,very bright shiny finish to the color. Amazing texture and body, which on swirling, leaves a oily even coat on the glass with few legs developing. Taste: Wonderfully viscous, almost like tree sap,orange, flowers (roses? ), cinnamon, touch of crystalline ginger,cloves. Kind of like an orange candy with a dryish slightly bitter finish. Very unique, possibly singular orange taste to this Curacao- almost like Mandarin orange with a touch of quinine. A long pleasant finish with almost no alcohol presence just a mild warming. Drinks: We tried it in a number of drinks calling for a Blue Curacao specifically and some others that called for Cointreau or Grand Marnier. It is a completely different animal than most of its competitors. 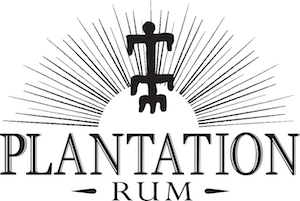 A very delicious and unique flavor profile that add some very good good elements and can transform a drink.The orange and bitters flavors make a wonderful combo. The color blue of this curacao is brighter than most and really makes the drink pop visually. Bottle: Round/pocket watch flask shaped bottle- thin neck to round shoulder to flattened body with a textured surface that makes it look and feel like an orange skin. Trademark tree embossed into neck,nice cork stopper (not some god awful screw cap that gets stuck – which happens a lot with liqueurs) Artwork seems almost turn of the century and quite attractive. Hand bottled and labeled. Quick-loading webpages with attractive graphics, drinks recipes, and information.